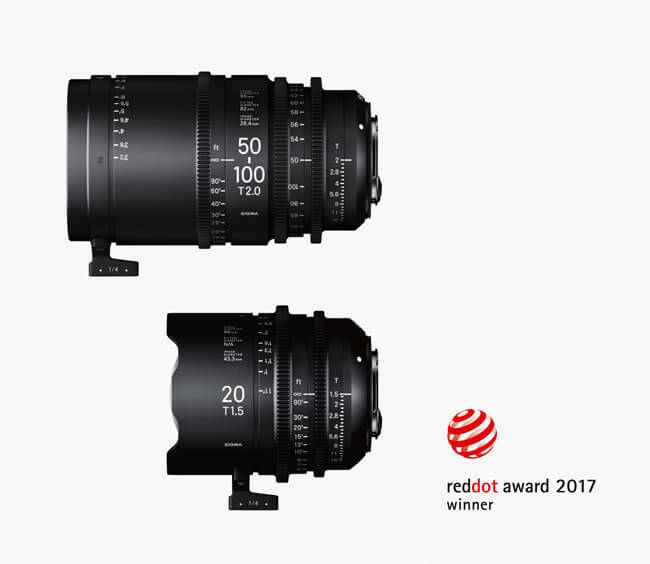 The SIGMA Corporation is pleased to announce that SIGMA’s new line of SIGMA CINE LENS has received the distinction “Red Dot” selected from more than 5,500 entries from 54 countries.In addition, our new cameras for the true photographic artist, the sd Quattro System has received the highest distinction in the Red Dot Award: Product Design, the Red Dot: “Best of the Best”. Focusing on the pursuit of further image quality and giving priority to essential performance, we will continue to strive to develop products that are truly pleasing to our customers. In order to appraise the diversity in the field of design in a professional manner, the Red Dot Design Award breaks down into the three disciplines of Red Dot Award: Product Design, Red Dot Award: Communication Design and Red Dot Award: Design Concept. The Red Dot Award is organized by Design Zentrum Nordrhein Westfalen and is one of the world’s largest design competitions since 1955. In the 1990s, Red Dot CEO Professor Dr. Peter Zec developed the name and brand of the award. Ever since, the sought-after Red Dot award has been the revered international seal of outstanding design quality. More information is available at http://www.red-dot.org.